Rest assured your dentist at the Placerville Dental Group would not hesitate to let you know of any immediate or long-term issues to your dental health. Nevertheless, let’s discuss amalgam fillings and what your choices are. Mercury has a useful characteristic of binding to other metals used in dental amalgam, also lending its durability to the mixture. True, by itself mercury is toxic. However, the American Dental Association and other agencies have issued statements regarding the absolute safety of dental amalgam. The amount of mercury used is recognized by authorities as safe, with rare exceptions based on individual circumstances. But many people still have lingering concerns, especially when they hear that most newer dentists have stopped using amalgam fillings for other alternatives. As research and development continues in the dental industry, new materials and technologies become available. Now there is an excellent alternative to amalgam: resin. Resins are composite materials that offer more flexibility as they fill the cavity. Amalgam fillings are rigid – they could separate from your tooth or create gaps over time, effectively reopening the cavity they are meant to fill. Resins are more flexible, working with the natural shifting of your teeth. Also, resin fillings match the color of your teeth, making them less noticeable. 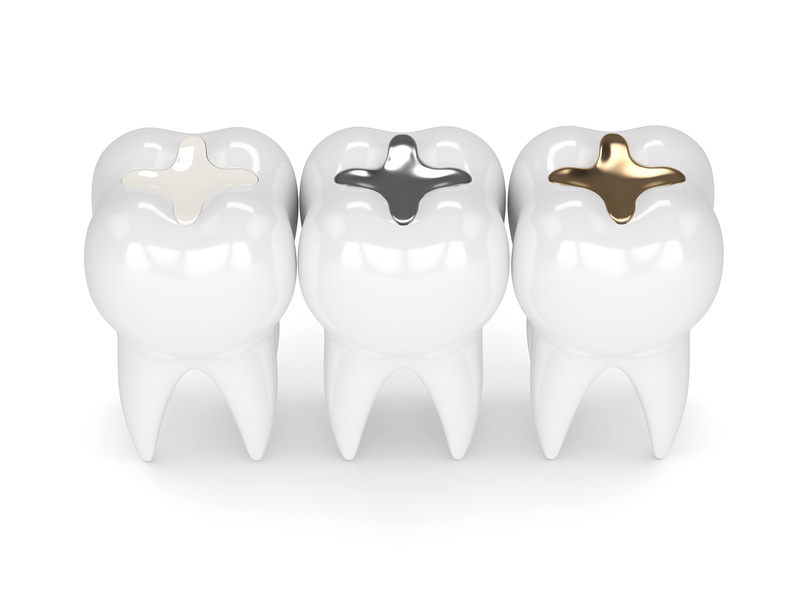 With amalgam fillings, however, you can have any color you want, as long as it’s silver. And let’s not forget – resin fillings eliminate any lingering concerns over mercury by replacing it. Logically, a question follows: “if I already have amalgam fillings, should I get them replaced?” For many, it’s a personal choice, and the Placerville Dental Group replaces amalgam fillings when a patient requests the procedure. Of course, if your amalgam filling is wearing down, a replacement might be necessary. When you visit your Placerville dentist twice a year, it allows us to keep a close watch on the status of your fillings. Fillings that are still tight, without gaps, and providing good service are best left in place. So you can lead a long, healthy life with amalgam fillings. If your fillings show any signs of affecting your health, your dentist at the Placerville Dental Group promptly informs you. And as always, if you have any further concerns or questions about mercury, amalgam fillings, or resin fillings, please contact us online or give us a call.